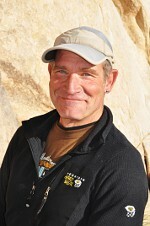 BOB GAINES is the Director of Vertical Adventures Rock Climbing School, which he founded in 1983. Bob is an AMGA (American Mountain Guides Association) Certified Rock Instructor (since 1995). 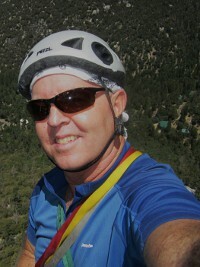 Bob is an AMGA Single Pitch Instructor Program Provider and teaches the AMGA SPI Course at Joshua Tree National Park. He is also an examiner for the AMGA SPI Exam. Bob has authored or co-authored 12 books on rock climbing, including the instructional textbooks Toproping, Rappelling, Climbing Anchors, Climbing Anchors Field Guide, and Rock Climbing: The AMGA Single Pitch Manual, which is the textbook for the AMGA's Single Pitch Instructor program. Bob's latest rock climbing guidebooks include Best Climbs Tahquitz and Suicide Rocks and Best Climbs Joshua Tree National Park. Bob began rock climbing at Joshua Tree in the 1970's. Since then he has pioneered over 400 new routes at Joshua Tree National Park, and over 130 first ascents at Tahquitz and Suicide Rocks, Idyllwild. A former member of Yosemite's search and rescue team, Bob is a veteran of Yosemite's big walls, with 5 ascents of El Capitan and 6 ascents of Half Dome to his credit. His rock climbing exploits in Yosemite include the second free ascent of the Lost Arrow Spire (5.12b) and the first free ascent of Sentinel Rock's West Face (5.12b) via a 16-pitch new route. Since 1985 Bob has worked extensively training a diverse group of military special forces, including Marines Special Operations Training Group Instructors, Delta Force, and the elite SEAL Team 6. Bob has worked as a climbing stunt coordinator or rigging coordinator on over 40 television commercials. He has also worked as a climbing coordinator on numerous motion pictures, films, and photo shoots. He doubled for Capt. Kirk in Star Trek V and was Sylvester Stallone's climbing instructor for the movie Cliffhanger, in addition to his job as Chief Safety Officer for the cast and crew of Cliffhanger during filming on location in the Italian Dolomites. In 2011, Travel and Leisure magazine, in their "Great Places to Climb" feature article, rated Bob Gaines as "top guide" for Joshua Tree National Park, and wrote: "His years of experience make him the man Hollywood seeks out when it needs a hand." 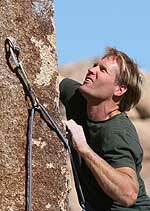 CHRIS BAUMANN began rock climbing in 1985 and has been a professional rock climbing guide since 2007. Chris is an AMGA Certified Single Pitch Instructor. Known for his patient teaching style, Chris especially enjoys introducing novices to the sport of rock climbing. Known for his mastery of crack climbing techniques, his rock climbs in Yosemite include Astroman, a 13 pitch 5.11c that is the goal for many crack climbing aficionados, and a one-day ascent of the Nose Route on El Capitan. 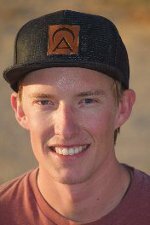 In the summer months, Chris offers rock climbing instruction and rock climbing classes in the Lake Tahoe area, where he can be reached at instonerockclimbing.com. TONY SARTIN'S background includes exotic locales, from sea cliffs in Thailand to the huge sandstone spires of Monument Valley, Arizona, and Moab, Utah. His big wall climbs include Mexico's infamous Trono Blanco and a first ascent on Rainbow Wall at Red Rocks, Nevada. Tony is regarded as one of Southern California's strongest and most talented sport climbers, with 5.13 ascents to his credit. Tony has been guiding professionally since 1997. JARAD STILES is a Lake Tahoe, California native. He is an AMGA Certified Single Pitch Instructor. 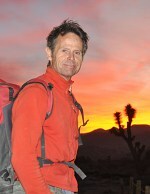 Jarad's guiding background includes several seasons at Joshua Tree National Park, and 8 summer seasons at Donner Summit. Jarad's rock climbing foundation was built in Yosemite, with numerous big wall climbs, including multiple ascents of El Capitan, Half Dome, and Leaning Tower. His passion for alpine rock climbing led him to Sierra classics, from Clyde Minaret to the Incredible Hulk and the East Face of Mt. Whitney. Jarad's love for wild places inspires his passion for teaching others. He's known for his patience, understanding, and compassion, giving aspiring rock climbers the confidence to explore their limits. PETER CROFT is one of America's foremost rock climbers. His feats in Yosemite are noteworthy and legendary: in 1986 he climbed two of Yosemite's biggest walls, El Capitan and Half Dome, in a single day, with John Bachar. In 1992 he climbed El Cap's Nose Route in 4 hours 20 minutes. Known for his mastery of 5.13 cracks, marathon solo climbs, and High Sierra first ascents, Peter is also regarded as a patient teacher and talented writer. His latest book is The Trad Climber's Bible, which he co-authored with John Long.This season Peter will be hosting several JOSHUA TREE ROCK CLIMBING WEEKENDS. Guides work as Independent Contractors. It is customary to tip your guide if you are pleased with their performance. All contents of this site Copyright © 2018-2019 Vertical Adventures�, Inc. All rights reserved.